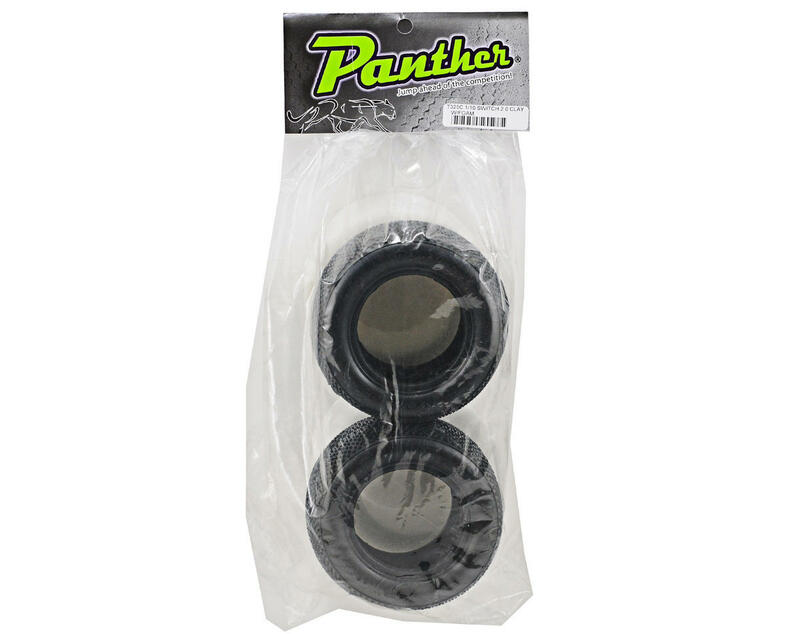 This is a pair of Panther Switch 2.0 2.2" truck tires. 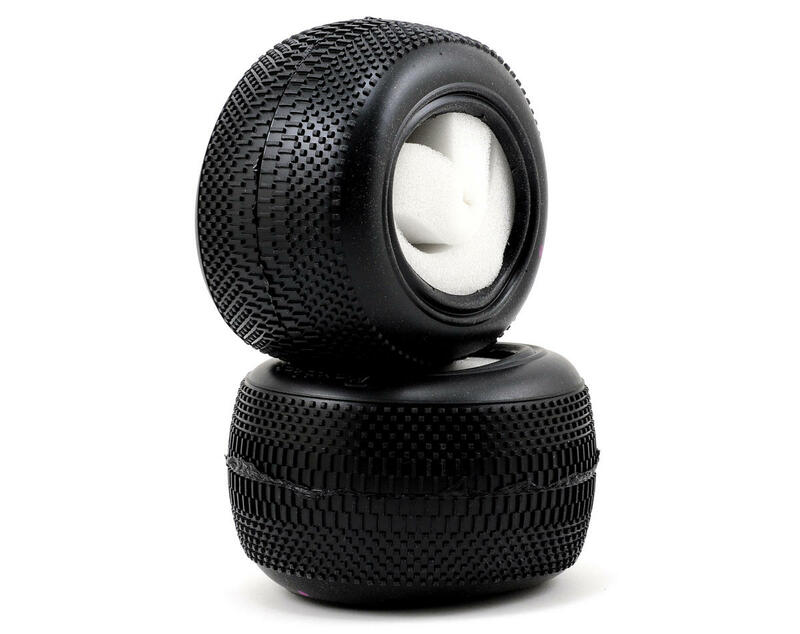 These tires fit on any standard 2.2" truck wheel, and work great for both electric and nitro trucks. The switch tread pattern works best for hard packed blue groove tracks. The drier the track, the harder the compound of tire you should use (ie: soft when moist, med-soft when dry), and "Clay" compound is ideal for colder weather and or hard packed tracks. Great tire for indoor clay tracks. Square knobs provide tons of side bite and forward bite. I recommend this tire for any serious racer. I run these on the front of my Rustler for the clay with worn Bar Codes at the rear. They provide the best bite and the perfect in between of over and understeer. Recommend these for sticky grooved clay. This tire is surprised me when I got them on my 22T. It had a lot of forward traction and side bite. In the right conditions this tire will win you the race when everyone else is running suburbs and bar codes. Definitely a good pair to have in your box! I run strictly asphalt. These tires did well in wet conditions, but as soon as the pavement dried, the center tread wore away in less than 2 batteries. They still gripped great, but I would have to say they are too soft for street racing (for more than one race).